“It never stops, not for a minute.” Netflix has released the premiere date and a new preview for season two of The Crown. From Peter Morgan, the historical drama chronicles the private life of a young Queen Elizabeth II (Claire Foy). The cast also includes Matt Smith, John Lithgow, Victoria Hamilton, Jared Harris, Vanessa Kirby, and Dame Eileen Atkins. 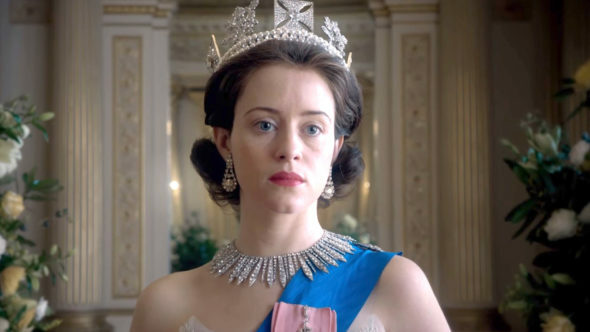 Season two of The Crown will debut on Netflix on December 8th. Netflix releases first looks at the second series of Peter Morgan’s royal drama The Crown, and announces the upcoming series will debut on Friday, December 8 in all territories where Netflix is available. The Crown continues to chronicle the major political and global events that have defined and shaped the second half of the twentieth century – a series that is unprecedented in its scale, ambition and creative vision. What do you think? Have you seen The Crown? Will you watch season two?